Every year, my dressing room table looks very similar. Mic, check. Percy Pigs, check. Tiara, check. 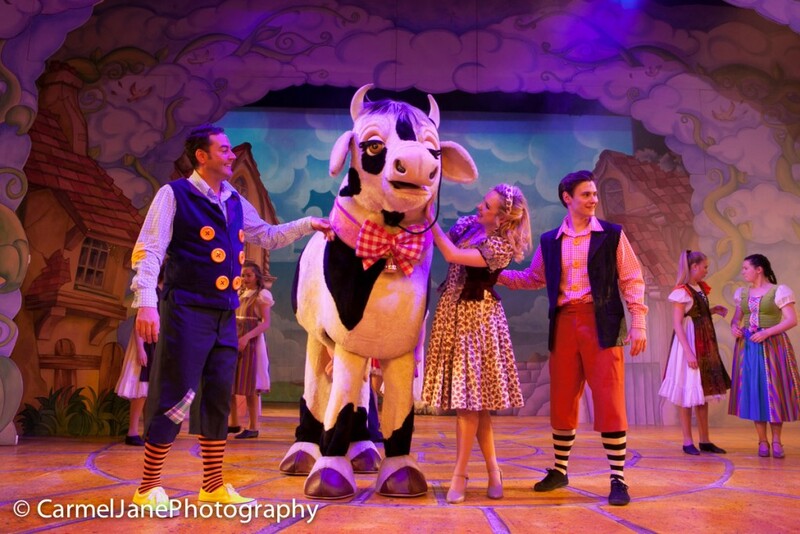 Welcome to the world of the Panto Princess, one that I’ve taken on for the past four years. Every year brings a new production and a new role, and it’s something I’ve always loved getting stuck into. 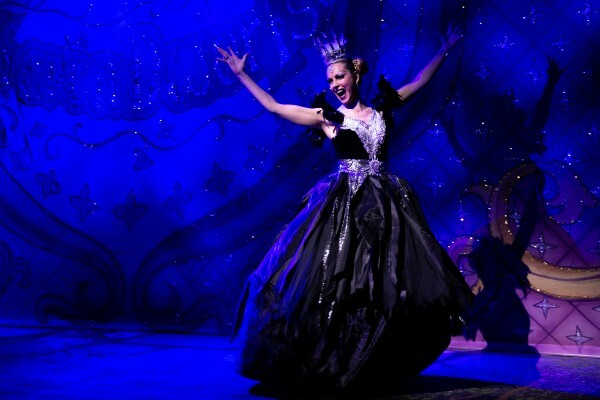 Nowadays, the world of panto is constantly evolving, and so is the role of the Principal Girl. Panto is tough. 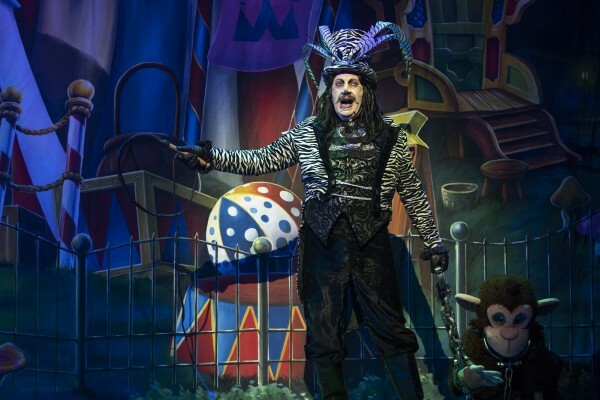 You give up much of your Christmas, work hard in those 10.30 am school shows, and tackle three show days – all in the name of festive magic and fun. And it is so much fun, but there are always these challenges. Even securing the role is no mean feat, as you sit in an audition waiting room full of girls who look just like you (maybe younger, eek!) and there are drama school graduates each year wanting that first Christmas Job. I sit there and wonder “Oh god, she’s brunette, is that what they’re looking for?” and “Princess Jasmine? But I’m very pale with blonde hair, does that matter?” But as it turns out, each heroine is different, and each production company will have a different view of her too. However, whether a princess is the focal point of a classic story like Cinderella, or more of a sideline, there’s always a vital job to do for the audience: make them believe in love (and/or magic!). I’ve found that pantos are increasingly moving towards a more “real” approach to their love stories. Audiences want to see some chemistry, some spark between the prince and princess, or boy and girl. So it’s really important to bring this, and fully invest in it yourself (helloooooo handsome prince! Ok, ok, it’s not the worst job in the world!). Subsequently, you have to believe in the magic. I love simply telling these classic stories that everyone knows and have been passed down through the generations, and truly bringing them to life. Increasingly, there’s the need more and more for stronger princesses than we’re traditionally used to. With the likes of Disney Princesses such as Merida, Moana, and Elsa (the latter who says “You can’t marry a man you just met” – preach!) little girls are now looking to heroines and role models with a little more punch. And how fantastic if this is what’s reflected on their annual panto trip. Of course, it’s still traditional, the gender roles haven’t completely reversed (yet… watch this space! ), so sometimes the biggest challenge is in the balance to be found. How do you make a princess sweet, but not sickly, simpering, or a wet flannel? For me, it’s all about a dose of likeability. Finding the kindness, and indeed, the truth in a role like this usually helps solve the puzzle for me: Cinderella just wants to help the old lady in the woods, Sleeping Beauty has a real love for her courtiers, perhaps. So, to all the princesses out there, keep going, it’s an important job. Small children may just leave the theatre each day thinking “I want to be just like her.” Bring the love and bring the magic. And bring the Berocca on three show days. 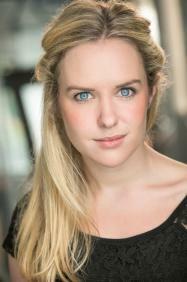 Catherine trained at the Guildford School of Acting in Musical Theatre, and graduated in 2012 with a first class honours degree. 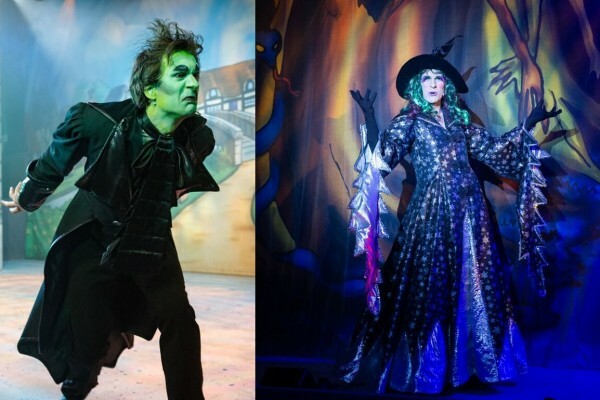 Since graduating, she has played Cinderella for Evolution Productions, Princess Aurora in Sleeping Beauty for Theatre Royal Winchester, and Princess Jill in Jack and the Beanstalk for Simon Fielding and Basildon Towngate Theatre. Aside from panto, she has played Cecily Cardew in The Importance of Being Earnest (Edinburgh Fringe) Holly in Our Girl (BBC) and Annabelle in UK tour of new musical Crush (Big Broad Productions in association with Belgrade Theatre Coventry).